With the most severe storms on record that hit the country at the beginning of this year, many homes suffered extensive damage as a result of damaged roofs, collapsed garden and sea walls and general flooding. 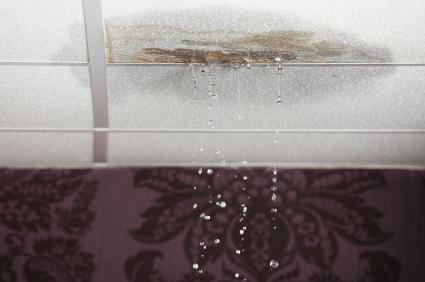 Leaks continue to be a problem for householders. The most common of these noticed by us so far this year are leaks from bathrooms, en-suites, hot water cylinders, boilers and also kitchen appliances such as washing machine outlets. Accidents are a common cause of this type of claim followed by vandalism, arson and electrical faults . For advice visit www.irishfireservices.ie. The continued downturn in the economy in recent years seems to have resulted in an increase in widespread break-ins and attempted break-ins in many areas throughout the country. For advice on protecting your home and business visit www.garda.ie. This includes damage caused by unblocking underground pipes, spillages, falls, and general mishaps. We have noticed this damage is very common to rented properties and are pleased to inform you that many insurance policies now include accidental damage cover as standard. Our advice to home owners is to always check your cover before taking out a policy, as once the event has occurred it could be costly if you don’t have the correct cover. Remember if you need our services, Darcy Doyle Loss Assessors Limited is only phone call or a click away. Contact us on (01) 690 2007. Like us on Facebook or follow us on Twitter @ddlaireland. Previous DARCY DOYLE THANKS YOU!